More energy drinks were launched globally in 2015 than in any year since 2008, with the number of energy drink products launched growing 29% between 2010 and 2015, according to Mintel Global New Products Database (GNPD). While energy drink launches around the world have seen a new lease of life, Mintel research reveals that when it comes to innovation, Germany is king. Indeed, Germany recorded the highest share of new energy drink product launches in 2015, overtaking the US for the first time. Some 9% of global energy drink launches occurred in Germany in 2015, as opposed to 8% in the US. In comparison, Germany experienced just 6% of global new energy drink product launches in 2014, while 10% of global launches took place in the US. It’s not just energy drink innovation that is booming, as volume sales are also on a high. In 2015, the global market for energy drinks rose by an energetic 10% to reach an unstoppable 8.8 billion litres. Around the world, the top five energy drinks markets in terms of volume sales are the US (3.3 billion litres), China (1.4 billion litres), the UK (561 million litres), Thailand (465 million litres) and Vietnam (351 million litres). Additionally, volume sales in Germany reached 328 million litres, with Austria (79 million litres) and Switzerland (58 million litres) following much further behind. In terms of volume growth, China experienced the greatest increase between 2014 and 2015, rising by an exhilarating 25%, followed by Thailand which experienced a rise of 19%. On a natural note, Mintel research indicates that introductions bearing an organic claim have reached a record high. Some 7% of energy drinks launched globally in 2015 carried an organic claim, up from 4% in 2011. And organic innovation shows few signs of slowing down: so far in 2016*, as many as 6% of global launches have carried an organic claim, with Europe leading the way. Three in five (58%) organic energy drink products launched globally in 2016* have taken place in Europe, compared to two in five (39%) in North America and just 3% in Latin America. The rise in organic launches comes as consumers show strong interest in more natural energy drinks. Indeed, one in four (26%) US consumers say they would be more comfortable drinking energy drinks or shots made with all-natural ingredients. Furthermore, over half of consumers in Poland (61%), Spain (54%), Italy (54%) and Germany (53%) say they would like to see a wider variety of sports and energy drinks made with natural colourings and flavours. In China, thirst for more natural energy drinks is evident in that two in five (40%) consumers say they’d be encouraged to buy a sports of energy drink product made from natural ingredients. “The rise in global organic energy drink offerings illustrates how the sector is attempting to appeal to a broader audience by conveying a more natural image. For the foreseeable future, brands will remain under pressure to reformulate with better-for-you ingredients,” continues Alex Beckett. Finally, Mintel research reveals that parents are emerging as a valuable audience for energy drinks. 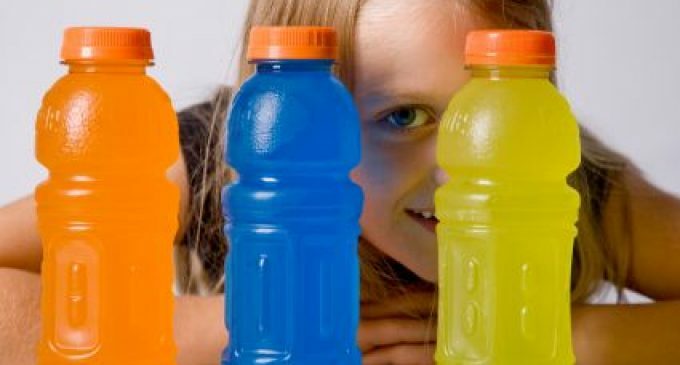 In the US, while on average 12% of consumers drink energy drinks, this rises to over one quarter (26%) of those with children aged 5 and under and 32% of those with 6 to 11 year olds. In Germany, one third (33%) of adults drank a branded energy drink in 2015, rising to over two in five (44%) of those with under-21’s in the household. Meanwhile, in the UK, three in five (58%) parents with children aged 5 and under drink energy drinks, up from an average of 35%. “Often exhausted and needing to be on the go pretty much constantly, young parents are emerging as a valuable user group for energy drink brands around the world. Although they are not the traditional target audience of 18-24s which typically feature in marketing campaigns, young parents and older Millennials in general are the primary energy drink consumers,” Alex Beckett concludes.